Talk to us, we'd love to hear from you! Our greater NH Seacoast and Northern MA Auto Repair center has the resources to make your vehicle run as good as it did the day you drove it off the lot. Dover Chevrolet’s skilled mechanics have spent years working on vehicles and will properly diagnose your car, truck, or SUV’s problem. Great people to work with. Quick response. Great personalities all the way around. Easiest car shop and I have ever experienced! Will highly recommend this dealership . Nick elliott made the whole deal really easy, fun guy to talk too also. Made everything quick and simple for me to understand. All went well and I got into my dream truck! 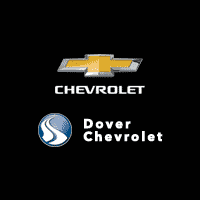 Dover Chevrolet is your trusted dealership and the reason why our loyal customers keep coming back. From the time you enter our showroom when you service with us, you can expect to be treated like family, each and every visit. We offer an extensive inventory, as well as our competitive lease specials, finance options and expert auto service. We are dedicated to providing exceptional customer service and being an integral part of our community.